BUT THE BEST PART OF THIS ALL IS THE AWESOME EXCLUSIVE REWARDS YOU CAN GET FROM ME! Let me know if there are other rewards you would like to see by posting in my Activity feed! 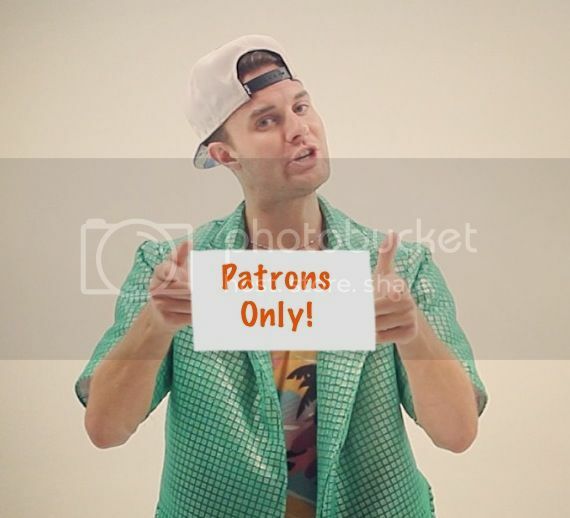 I will only ever upload 2 big Patreon supported videos per month AND you can put a cap on your pledge so you never go over your budget!! Check out my Blurred Lines Parody to get an idea of my work! Access to my patron only stream where I will answer questions and interact with everyone! I will also follow you on Twitter! OMFG! You'll receive a free download of every song I create! You'll be invited to a live webcast every month. We can chat, hang out and kick it old school with Patrons only!!! At the end of one Vlog every month I will personally thank you on camera! If you support me for one year at this level I will send you a personalized 30 second video once a year saying whatever you like! Just make sure you let me know what kind of shout out you want in the google doc! Also, keep it PG-13...I'm not trying to go to jail. I will personally thank you at the end of a Parody video every month! Millions of people will hear your names!!! I will release a private thank you video for all the patrons that helped me reach this goal! !